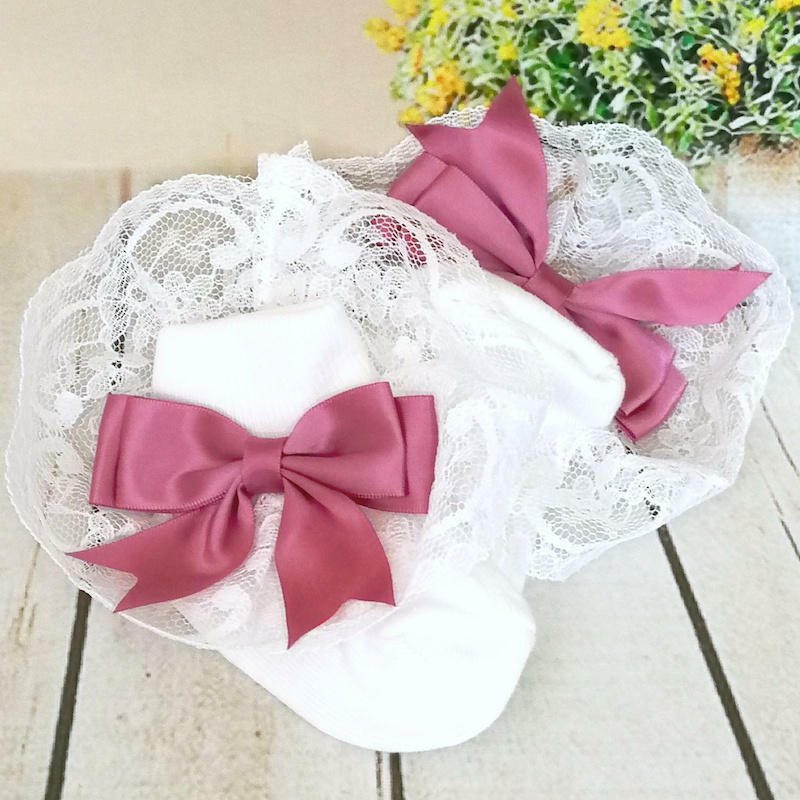 Luxury girls white & dusky pink large satin bow lace socks. Perfect as christening socks, flower girl socks and all other occasions. This beautiful socks will perfectly compliment her special occasion dress.